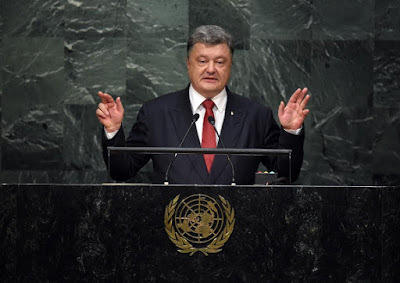 KIEV, Ukraine -- The value of Ukrainian President Petro Poroshenko's assets soared despite economic crisis and conflict while those of other tycoons shrank in an annual wealth list published Friday. 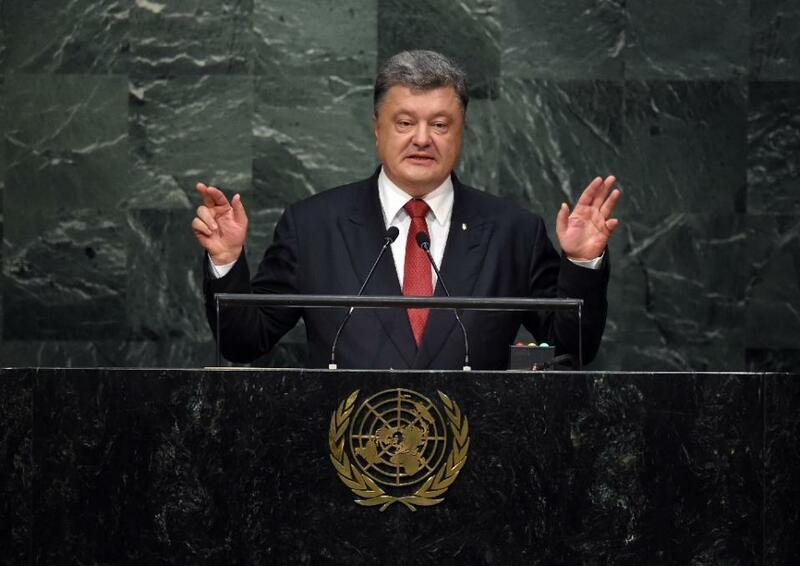 Petro Poroshenko, President of Ukraine, addresses the 70th Session of the UN General Assembly September 29, 2015 in New York. The 50-year-old Western-backed president's business empire ranges from chocolates to media holdings still under his control. Friday's independent Novoye Vremya weekly showed the Ukrainian leader -- often criticised for failing to curb the political powers of fellow tycoons -- ranked as the country's sixth-richest man. His assets reportedly rose by 20 percent to $979 million (889 million euros) -- only just supporting his claim he is no longer a billionaire. The president's official spokesman did not pick up his phone when contacted repeatedly by AFP. "Poroshenko's (wealth) rose thanks to the rise in value of his candy business that -- even in the midst of the deepest of crises -- is developing quickly, building new capacities and conquering new markets," the weekly said. The 49-year-old Akhmetov is a controversial figure accused by some local media of impeding Poroshenko's efforts to halt the 18-month war in the pro-Russian east. Novoye Vremya said Akhmetov's fortunes had plunged by 56 percent to $4.5 billion due in part to the sharp recent fall in global commodity prices. Poroshenko's sworn political foe and banking giant Igor Kolomoyskiy came in third with an estimated fortune of $1.9 billion. Russia's state media accuse him of funding Ukrainian neo-Nazi combat units that commit grave crimes in the separatist east. Poroshenko's fight against Kolomoyskiy began with efforts to strip him of his indirect control of a state-owned oil company and culminated in the businessman losing his seat as governor of the industrially important Dnipropetrovsk region in March. Kolomoyskiy's wealth reportedly slipped by 17 percent due to the country's financial woes. Ukraine's economy is on track to shrink by about 12 percent this year and only return to marginal growth should the eastern campaign end in 2016. Many of Ukraine's other mega-rich scooped up their holdings at cut-price rates in pre-arranged privatisation deals in which which they rewarded the government by funding its parliamentary parties and campaigning for them in the media. But analysts said Poroshenko's reputation may still suffer for being the only one of the country's already-despised oligarchs to profit while presiding over Ukraine's worst crisis since its independence from the Soviet Union in 1991. "This will not benefit the president's ratings or help improve Ukraine's image as a nation run by oligarchs," Vadym Karasyov of Kiev's Institute of Global Strategies told AFP. "The world views Ukraine as a poor country with a super-rich minority," Karasyov said.